Be it in terms of the game or in terms of fan following, Mumbai Indians is one of the most talked about teams in the Indian Premier League. They did not achieve the desired results at the start of the journey but have raised the bar since then. The franchise finished at the fifth position in the first season. Fell down further to seventh in the next season. They turned the tables in 2010 as they topped the points table. Finished third in 2011 and 2012. Emerged as Champions in 2013. Finished at the fourth position in 2014. Came out as Champions yet again in 2015. But failed to reach the play-offs by just one position in the last season. Mumbai Indians spent lavishly during the auction. The franchise was left with 3.355 crores after the bidding process was culminated. As many as seven players were drafted into the squad. They spent the most on capped Indian leg-spinner, Karn Sharma (INR 3.2 crores). In what will be his first stint in the IPL, Karnataka's K Gowtham (INR 2 crores) will also render his services to Mumbai Indians. Mitchell Johnson (INR 2 crores) and Saurabh Tiwary (INR 30 lakhs) are back for their second term with the Mumbai Indians. Sri Lanka's man-in-form, Asela Gunaratne (INR 30 lakhs) and West Indies' wicket-keeper batsman Nicholas Pooran (INR 30 lakhs) can be categorised under smart buys for the Indians. Delhi's rookie speedster Kulwant Khejroliya (INR 10 lakhs) has it in him to be a surprise package in this season. 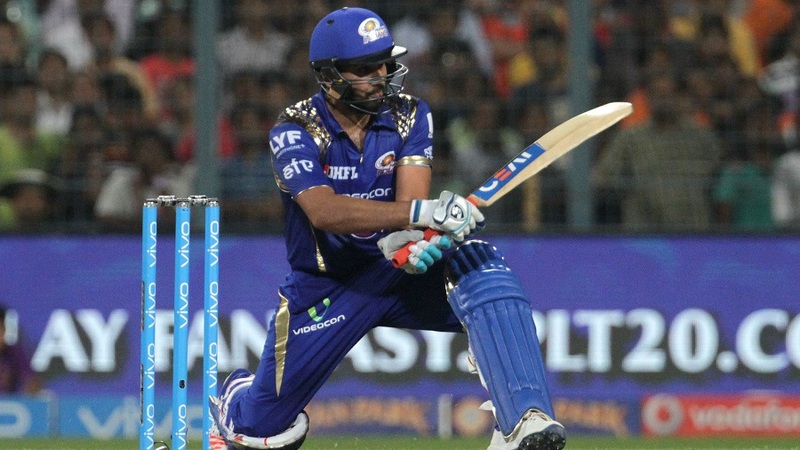 Rohit Sharma will hold they key for MI at the top of the order. An of note concern for the team management ahead of the first match would be the fitness of Rohit Sharma. Mumbai Indians' skipper suffered a minor knee injury which ruled him out of the Deodhar Trophy. Hopefully, he should be fit by April 6, when Mumbai is scheduled to play its first game. 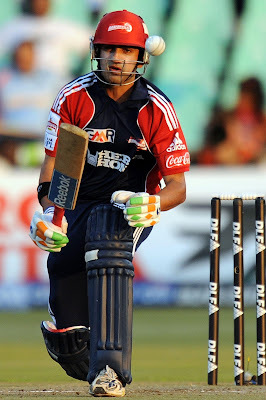 Parthiv Patel has scored bulk of runs in this year's domestic season and would be looking to emulate his performance in the IPL as well. The elder of the Pandya brothers, Krunal, impressed one and all with all-round abilities in the previous season. His game is much suited for the shorter formats, something Mumbai Indians should take full advantage of. It can be difficult for a T20 team to leave Jos Buttler outside the playing eleven. Talking of brand loyalty, Ambati Rayudu, Kieron Pollard, Harbhajan Singh and Lasith Malinga will play yet another season for Mumbai Indians. The quartet is a part of very few number of players who have represented the same franchise in the IPL. The fact that they have four top-quality overseas fast bowlers in their squad adds to their strength. Depending upon the fitness of the players, one out of Lasith Malinga and Tim Southee should be included in the playing eleven. In terms of southpaws, one out of Mitchell Johnson and Mitchell McClenaghan should be given a go. To support them will be the talented Hardik Pandya (who is equally good with the bat) and the street smart Jasprit Bumrah. Harbhajan Singh will play his 10th season with the Mumbai Indians. The supplementary number of all-rounders in Mumbai Indians often forces the management to ignore the specialist batsmen. A total of seven specialist batsmen are likely to warm the bench during the initial phases of the tournament. Their share of chances is proportional to the outcomes and situations that the journey will throw. The list comprises of West Indian duo of Lendl Simmons and Nicholas Pooran, Sri Lanka's Asela Gunaratne, tried and tested face of Saurabh Tiwary, previous season's find in Nitish Rana, Mumbai's local boy in Siddhesh Lad and Vidarbha's Jitesh Sharma. The bowling division includes prolific wicket-takers in the domestic circuit - Vinay Kumar and Karn Sharma. Deepak Punia and Kulwant Khejroliya can be their able replacements, if required. Shreyas Gopal's legbreaks should come in handy on turning tracks. I think there are lots of pace bowlers in the team. According to me Karn Sharma can be included in the squad as it will make the bowling more stable and will also give that variety which can be handful in the tricky situations.